I have been trying my hand at felting. Felting is where you take little felting needles and stab wool into shapes. 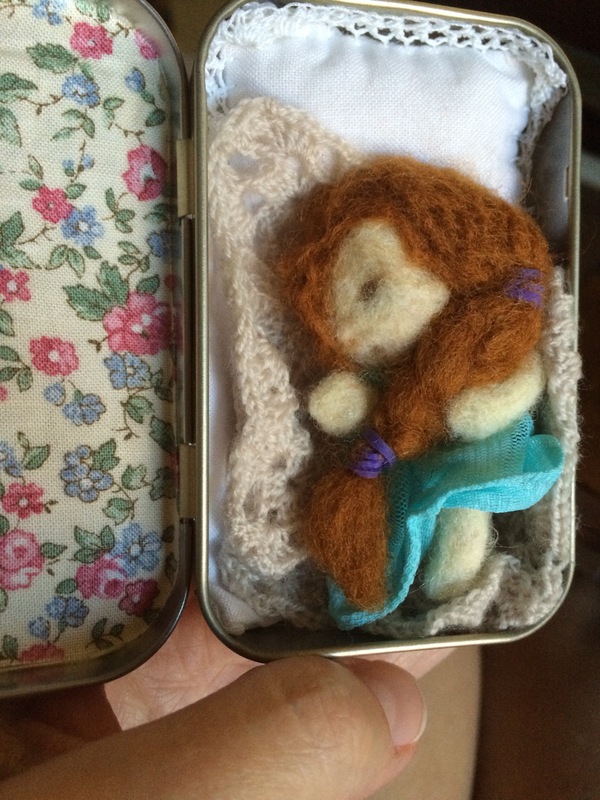 I got an idea from Pinterest to use the Altoid box, and made a tiny girl from wool with felting needles. I hand sewed a nighty from sheer material and crocheted a blanket. I stuffed the pillow with a little wool and crocheted around it. Glued fabric to the other side. That other side, though not pictured here, now has a window, a clock made from a button, and dresser to make it look like a bedroom. When I am done with the bedroom side and refining sleeping beauty a little more, I will add another pic.